Jean Piaget is indisputably a major thinker in education. 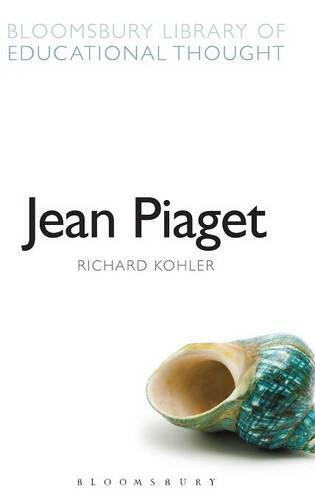 Richard Kohler's volume offers the most coherent account of Piaget's educational thought. This work is divided into: Intellectual biography; Critical exposition of Piaget's work; The reception and influence of Piaget's work; and, The relevance of the work today.This is a major international reference series providing comprehensive accounts of the work of seminal educational thinkers from a variety of periods, disciplines and traditions. It is the most ambitious and prestigious such project ever published - a definitive resource for at least a generation. The thinkers include: Aquinas, Aristotle, Bourdieu, Bruner, Dewey, Foucault, Freire, Holt, Kant, Locke, Montessori, Neill, Newman, Owen, Peters, Piaget, Plato, Rousseau, Steiner, Vygotsky, West and Wollstonecraft.